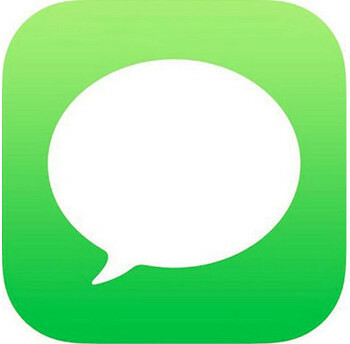 iMessage is an SMS alternative platform for iOS devices and it’s a favorite to many (including us). Many of us use it as a daily driver to stay connected with associates, colleagues, friends or family. On that note, security is of great important to us. And SafeTexting is one such tweak that aims to provide security beyond the boundaries of stock iOS so users can interact in a safe yet workable environment. Let’s dive right in and see what security features SafeTexting has to offer. 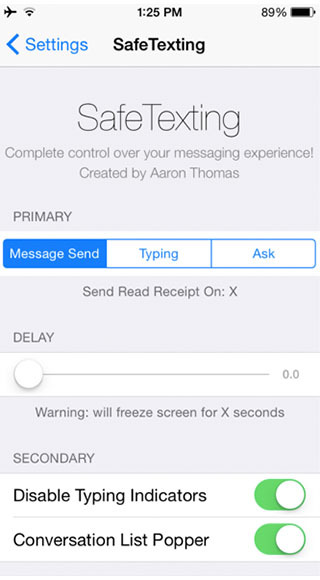 For starters, SafeTexting is a jailbreak tweak that disables the typing indicator in iMessage. Initially, when you start typing on the keyboard, the other person is notified that you are typing a reply. SafeTexting gets rid of the typing indicator so the recipient has absolutely no clue whether you’re jotting away on that keyboard or not. This is a little tweak that can go a long way for some iMessage users. Moreover, the message ‘Read’ receipt is a really troublesome feature for some, yet highly useful for others in some cases. What if you don’t want to reply back? It creates a negative frenzy about the person who reads and not replies. Hence, SafeTexting has the ability to send read receipts once the reply is sent to the message. So if you have read the message, it’s not obligatory for you to reply because so far, the person on the other end has no idea that you read it. Furthermore, there is a separate preference pane in SafeTexting’s setting menu where you have three more options in contrast to the read receipts. You can either choose to send receipts when you send a reply, start typing your reply or let SafeTexting ask you when to send it. SafeTexting also has the ability to delay messages before they are delivered. This means that you can choose the delay-time for each message to be sent. The developer is considering to add some more features in the tweak, such as viewing contact pictures in Messages and opening conversations where you left. This is a pretty neat tweak designed to assign more privacy for the user on iMessage. The tweak is available from Cydia’s BigBoss repo and is currently priced at $1.00. SafeTexting has full support for iOS 8 as long as it is jailbroken. If you have this tweak installed, let us know in the comments how you liked it.